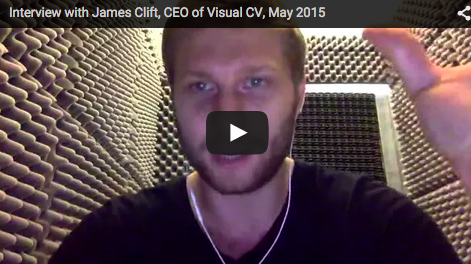 It was my pleasure this week to speak with James Clift, CEO of fast-rising company, VisualCV. Based in Vancouver, Canada, VisualCV has a global reach and I caught up with James via Skype while he was in Argentina. What does the ideal tool for jobseekers look like? The result is so much more than a CV-builder. This is a marketing and engagement system that really works as testified by over 500,000 clients to date, ranging from students to Fortune 500 Executives from North America to Europe and the Middle East. We had a couple of technical problems with the line and did not end neatly, but the interruptions are momentary so stick with it. I’d like to give my warm thanks publicly to James for giving up his time and sharing his wisdom. 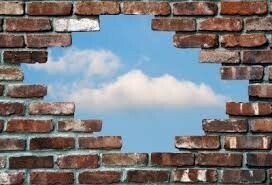 He is practising what he preaches in finding a job he really wanted and making a career breakthrough. As you can see, he is truly engaging and energised by helping people, with a huge smile always to hand! 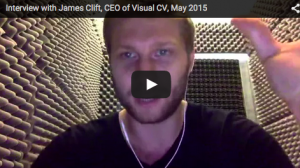 James welcomes any questions you have, just email him at james@visualcv.com and connect via Twitter (@jamesclift). This video is the first of a new monthly series of Learning to Leap interviews with interesting people in the jobs, careers and employability space. My next guest will be Lis McGuire of Giraffe CVs based here in the UK. Please let me know what you thought of the interview with James by leaving a comment!